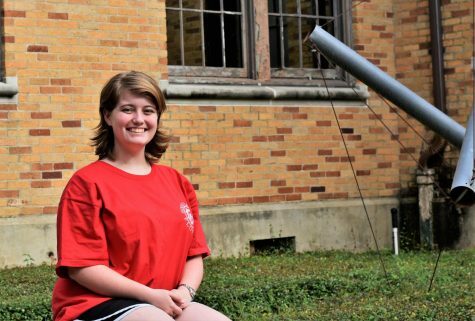 Claire Foster came to Delta State from Biloxi, Miss., in order to pursue a career in teaching history. She is a member of Phi Theta Kappa, an honor society, and spends her time with the history club. She enjoys wood-burning, listening to jazz, and watching anime on Netflix in her off time. Her favorite time of year is Halloween, and her favorite film genre is horror.